Call them suppressors, silencers, mufflers or "a can," but by whatever name you wish, the use of suppressor seems to have an identity problem. While the Bureau of Alcohol, Tobacco, Firearms and Explosives (BATFE) primarily uses the words firearm muffler or silencer, I prefer the term suppressor. Suppressors are legal for Ohio residents to own but not legal for hunting use. As I investigated the use of suppressors I quickly learned there is a lack of understanding about what they do, how they function and social acceptance. I spoke with Todd Rathner, who represents the American Silencer Association, to shed some light on the situation. Rathner explains, "The biggest obstacle to the acceptance of suppressors is misinformation, whether intentional or unintentional. You have certain people who, for whatever reasons, just don't like suppressors. Perhaps it's an issue of jealously because they can't afford the cost to own one. Perhaps it's because they only know what has been presented in movies. I believe their concerns are genuinely from a lack of understanding. When you break it down, a suppressor is just another accessory item for a rifle. It is less technologically advanced than scopes." The suppressor was invented by Hiram Percy Maxim who was the son of machine gun inventor Hiram Maxim. In the hundred years since the invention the technology for suppressors has really not changed much. Rathner makes the point, "What has changed in the manufacturing of suppressors is the materials used. What was stamped metal is now aluminum or even titanium. The materials used has improved the performance and, of course, added to the price of suppressors. Also built into the cost is a lot of government oversight and approval overhead. A manufacturer must submit a lot of paperwork to the BATFE for approval before ever building a suppressor." Basically it is an expansion chamber screwed onto the end of the barrel of a rifle or semi-automatic pistol. There are no suppressors currently marketed for shotguns nor muzzle-loading firearms. A suppressor is not as effective on a revolver due to the gap between the cylinder and the barrel. Suppressors deal with the gases escaping from the barrel in much the same manner as an automobile muffler deals with exhaust gases. The expansion chamber normally contains a series of baffles or other chambers to route the gasses thereby reducing the sound when the gasses leave the end of the suppressor. In addition to the bore of the suppressor, there may be other holes in the muzzle end to allow the muffled gasses to escape. The number of baffles in the suppressor dictates the size of the suppressor. One suppressor I examined was made to be used only on .22 rimfire caliber firearms. The suppressor is not especially large nor heavy. It contains six baffles made from aluminum. Obviously the size of the suppressor and the number of baffles will increase for larger caliber firearms and the baffle material will need to withstand the higher volume of gas and pressure. The firing of a rifle or handgun results in two components that create the bang and crack we hear. The first is the rapid escaping of the gases from the muzzle which the suppressor muffles. The second is the crack when the projectile breaks the sound barrier. Firing a .22 rimfire with the suppressor was a pleasant experience when using standard or sub-sonic ammunition. We only heard a slight "psst" as the bullet exited the suppressor. Using hyper velocity ammunition in the same gun, we could still clearly hear the crack as the bullet broke the sound barrier. Internally, this suppressor has aluminum baffles. Suppressors for larger firearms, in addition to being larger in size, will have other metal or even titanium baffles to handle the additional pressure created by center fire rifle ammunition. 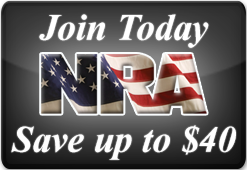 The American Silencer Association website provides some additional educational insight. 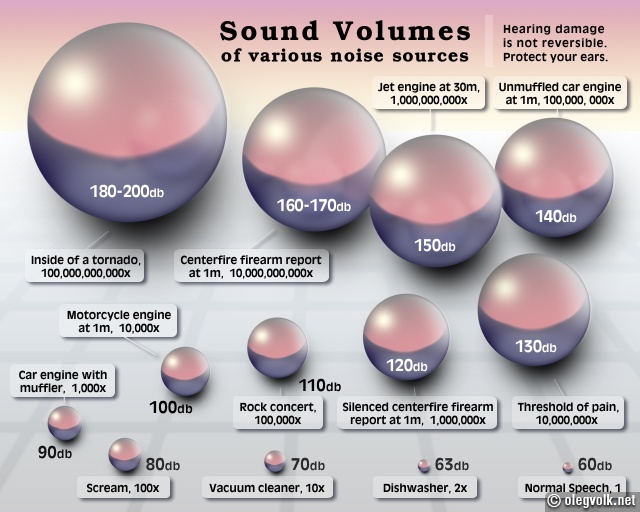 The association webpage notes, "According to the Occupational Safety and Health Administration (OSHA), the threshold for hearing safe impulse noise is 140 dB. Without hearing protection, exposure to any impulse noise over 140dB causes varying degrees of permanent noise induced hearing loss, which can also lead to tinnitus. Most well engineered silencers take the dB level of their host firearm below 140 dB, making those silencers effective primary hearing safety devices." Suppressors are tightly controlled through the BATFE. Anyone wishing to possess a suppressor in Ohio must first obtain the signature of the county sheriff or controlling law enforcement officer approving the application. Next the application is sent to the BATFE for the federal background check. There is a tax fee of $200. Typically it takes several months for the process to be completed. Each application is specific to one suppressor. 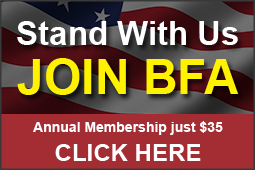 Want to buy another suppressor? The process, and the $200 fee, must be completed for each suppressor. This is not something that criminals or poachers will be legally using. I don't see any significant potential for misuse of the law by those with criminal intentions. In fact the Ohio Legislative Service Commission, which prepares the analysis and impact statements for any legislation, reports that the Division of Wildlife has no record of poachers using suppressors in Ohio. Rathner noted, "The thought that someone will pay a $200 tax, submit to a federal background check, obtain local law enforcement approval, wait for months for the federal approval just to poach a deer and risk federal prosecution is ridiculous." The use of suppressors while hunting is rapidly growing in the United States. According to my research over thirty states allow the use of suppressors for some form of hunting with most allowing them for all types of hunting. All states contiguous to Ohio, except Michigan, allow the use of suppressors for all types of hunting. Indiana passed their bill earlier this year. "No state that allows hunting with suppressors has moved to repeal their law because of any criminal use. There is no biological game management impact through the use of suppressors", added Rathner. I'd love to have a suppressor equipped .22 rifle to introduce my grandchildren to squirrel hunting. The combination of the suppressor and subsonic ammunition would allow me to readily communicate with my grandchildren during the hunt. I wouldn't have to wear bulky electronic muffs to protect my already damaged ears. I have a combination of tinnitus and severe hearing loss which requires me to wear hearing aids. HB 234 will allow the use of suppressors for hunting. This will provide another safety tool for those hunters who want to take advantage of suppressors. More information on the use of suppressors can be found at the following websites: www.americansilencerassociation.com/education; www.asha.org/public/hearing/Recreational-Firearm-Noise-Exposure/; and www.nssf.org/factsheets/PDF/Suppressors.pdf. Thank you for allowing me to present testimony in support of HB 234, Hunting with Suppressors. I come as a Sportsman Leader for Buckeye Firearms Association and as a life-long shooter and hunter. 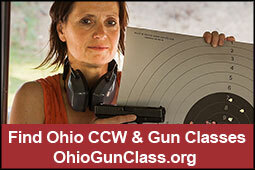 I am a twenty-five year veteran volunteer Ohio Hunter Education Instructor. I am also an outdoor writer for my local newspapers and free-lance to other publications. You may also note that, like many seasoned shooters and hunters, I wear hearing aids. Gun fire while hunting is one reason for my hearing loss. Today we are much more aware of the dangers of noise. Shooters wear hearing protection and it is mandated in noisy industrial environments. Hearing protection has advanced to take advantage of technology. The use of suppressors while hunting is another tool that should be available to Ohio's sportsmen and women to protect their hearing while enjoying their sport. The use of suppressors while hunting is rapidly growing in the United States. According to my research over thirty states allow the use of suppressors for some form of hunting with most allowing them for all types of hunting. All states contiguous to Ohio, except Michigan, allow the use of suppressors for all types of hunting. Indiana passed their bill earlier this year. The use of suppressors will greatly benefit predator and varmint, coyote and groundhog, hunters. Coyote hunting is primarily done in the early morning, late evening or even into the night. The use of suppressors will not only offer hearing protection for the hunter but allow him/her to be a good neighbor. Trappers may find suppressors a useful tool. They often trap close to developed areas or where streams run along a roadway. Should they be required to dispatch an animal, they can do so using a suppressor-equipped firearm quickly and in an environmentally friendly way. My family is starting to introduce our grandchildren to target shooting and hunting. All the grandkids receive quality hearing protection at their second birthday. While they don't start shooting at that age they are often within hearing distance when we do shoot. Sound doesn't just travel in front of a firearm so even those seated behind the firing line are exposed. The use of suppressors will allow us to introduce the youngsters to squirrel hunting without forcing them to wear hearing protection in the field. This will better allow the adults to coach and to communicate safety rules while hunting. There is an additional benefit that the use of a suppressor may also reduce the amount of recoil felt by the shooter. Recoil is an important factor when instructing new shooters. Suppressors are tightly controlled through the Bureau of Alcohol, Tobacco, Firearms and Explosives (BATFE). 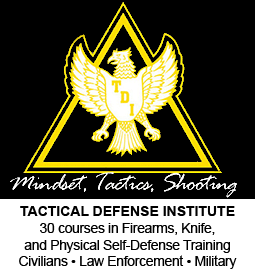 Anyone wishing to possess a suppressor must apply through the BATFE, pass a background check and pay a federal tax of $200. Additionally the county sheriff or controlling law enforcement officer must approve the application. The owner of the suppressor must always be in possession of the suppressor and carry proof of the approved paperwork for the suppressor. This is not something that criminals or poachers will be legally using. I don't see any significant potential for misuse of the law by those with criminal intentions. In summary, I believe the use of suppressors while hunting is a valuable tool as an aid in hearing protection and being a good neighbor. It is making another safety tool available to hunters. I will be happy to attempt to answer any question. And answer questions he did - for more than 30 minutes! One misconception the representatives had that Moore addressed is that suppressors "silence" the sound of a gunshot. Moore used the analogy of a demonstrate the noise level by comparing the sound of a 30 caliber rifle firing to that of three teenage boys running through your house, then explaining that with a suppressor it would sound more like you only have 1 1/2 boys running through your house. One representative expressed a concern the bill would make it easier for poachers. But if they are poachers, they're already willing to break the law, so why would they care whether or not using a suppressor is legal? Representatives also were given a detailed fiscal analysis from the Legislative Services Commission which noted "The Ohio Department of Natural Resources' Division of Wildlife, which has enforcement authority over hunting violations, is not aware of any arrests or prosecutions for hunting with silenced firearms."